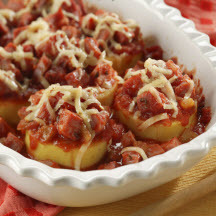 CooksRecipes has quality, kitchen-tested recipes for a variety of baked ham dishes and casseroles that you can count on for successful deliciousness. Ham puts a tasty spin on a favorite South-of-the-Border dish, and ready-to-use refrigerated polenta makes it a snap to prepare. 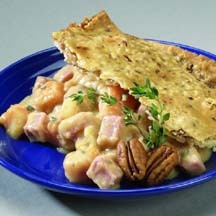 Give leftover holiday ham a new flavor with this tasty pot pie. 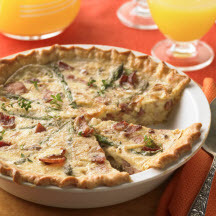 his versatile tart can be served hot or room temperature, making it ideal for a buffet lunch or brunch.